Just Picked Up a Lovely 1998 Superhawk! Hello everyone! Thanks for reading my first post. 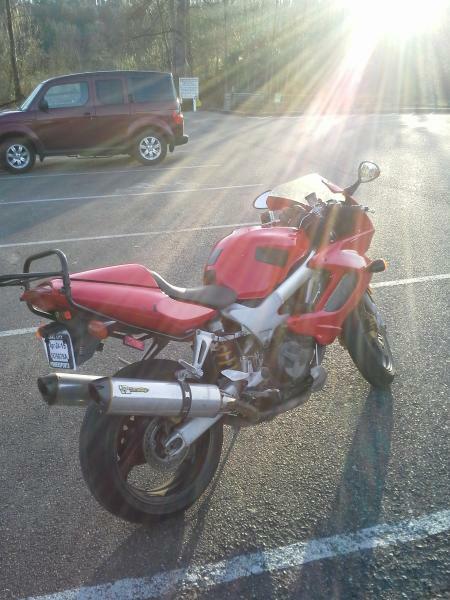 This is my 4th bike after a 2007 Ninja 250, 1987 Yamaha FZ600, and a 1989 Yamaha FJ1200. 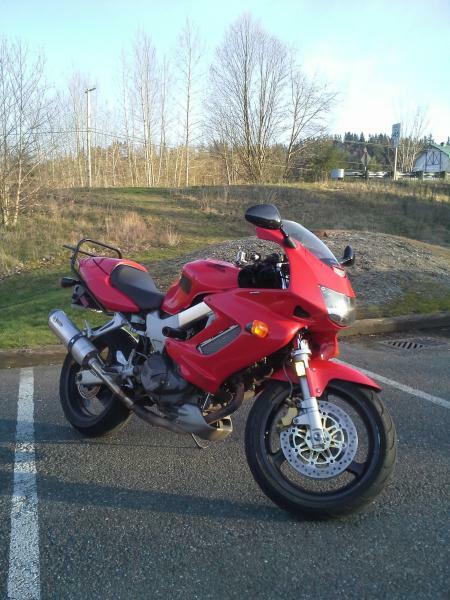 I recently sold my FJ1200 which was wonderful, rode it 12,000 miles in less than a year. It just needed work that I wasn't prepared to do. Instead, I wanted to upgrade to something a little more unique. 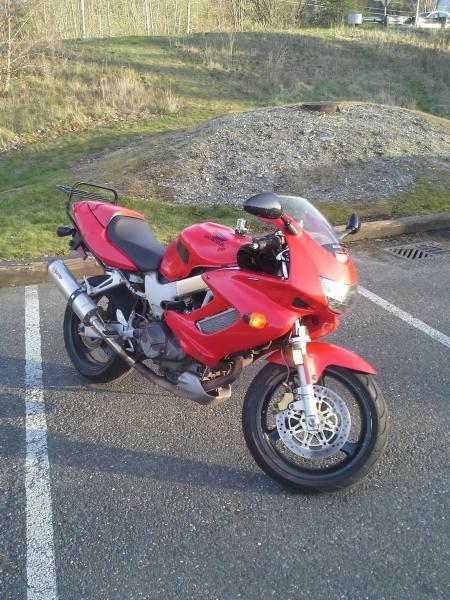 So, I found this lovely 1998 Honda VTR1000 for only $1,800! 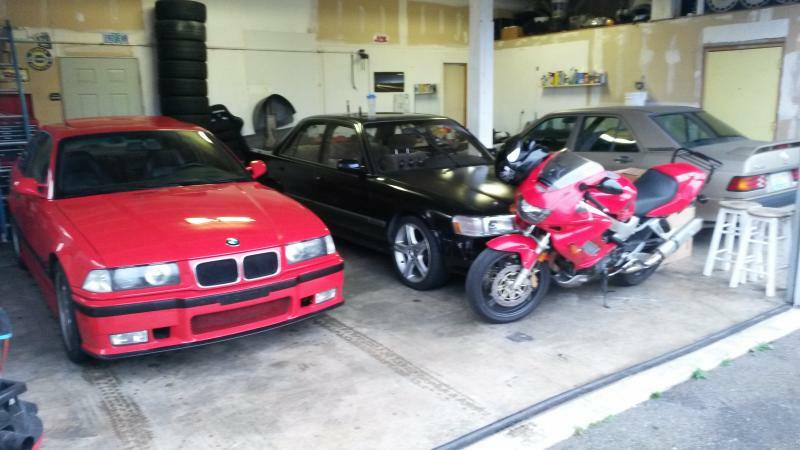 It does have 56,000 miles, but overall, the condition is very good. There are a few scratches here and there, but it's minty out on the road! Just like a Honda should be. Compression is great, and it runs like a stabbed rat. So far so good. My first couple rides getting used to the bike went great, loving the big V-Twin. However, recently is has developed a bit of a hesitation at low RPM and sometimes dies, like it has a fueling problem. Well, it was a cheap bike and has a lot of miles but other than that, no problems. Still very happy with my purchase. 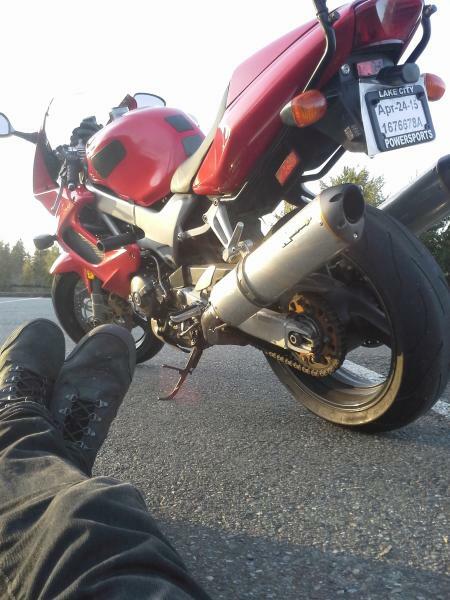 Here are a few pictures of the bike, and to conclude, I'm excited to show you all my progress with the VTR as I fix and modify it! QUESTION: I found that there is a rubber hose on each of the valve covers that have been cut and wire-tied shut. What is this? Last edited by ReillyDoorn; 03-21-2015 at 07:32 PM. Rubber hoses = part of a PAIR valve delete. You can buy inexpensive block off plates to correct the unsightliness. Do you know if the ccts (cam chain tensioners) have been replaced or changed to manual ones? Hesitation could be a number of things... Do you know if its jetted or carbs modified in any way? What is the benefit of doing the PAIR delete? I'm unsure whether or not the ccts have been changed. It feels like a fuelling problem, maybe the jets haven't been changed to compensate for the exhaust? PAIR delete is mostly cosmetic. It also eliminates the exhaust burble on closed throttle decel. The hesitation, as James stated, could be a few things, but sync the carbs as the first step. Look at the knowledge base section for the CCT thread. Simply compare the photos there to what you have on the bike. If they have not been changed, then this is something to address immediately. At 50K+ miles it's a time bomb. If it does have MCCTs (or modified stock tensioners) I would still pull the valve covers and check the cam chain tension. Contrary to some of the posts about removing the front cover being difficult, I found it very simple. Yes, also check the stickied jetting thread. Most superhawk owners on this forum have found it works great with a touch bigger pilot jet, and stock mains, even with exhaust mods. Welcome to the forum,Reilly. Glad to have another SuperHawk rider in the NW. Quick Reply: Just Picked Up a Lovely 1998 Superhawk!